Use the AutoFill handle to create a list of dates, in one week intervals. With the Series dialog box, you can set the Step interval to 7, and each date will be 7 days after the previous date. 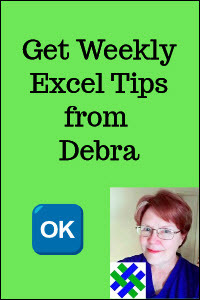 See more Excel Data Entry Tips. You don't have to live with the default number of sheets in a new Excel file. Instead of having 3 blank sheets in each new workbook, you can reduce the number, or increase it. 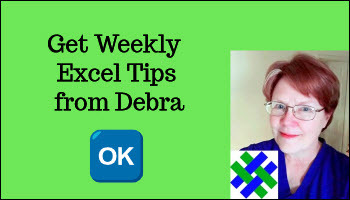 See more Excel Tips and Tutorials. Add or remove the features on the Excel Status Bar. For example, add new summary functions in the AutoCalc section. Or, show the status of special keys, such as Caps Lock or Num Lock..
Use the TODAY function to add the current date to a worksheet, and have it update automatically when the workbook is opened or the worksheet is calculated. Use the NOW function to add the current date and time to a worksheet, and have it update automatically when the workbook is opened or the worksheet is calculated.